It’s not an easy job to style curly hair – especially if you want to keep it casual. Many men are frustrated with their curls, but there’s a chance they just haven’t found the right haircut yet. 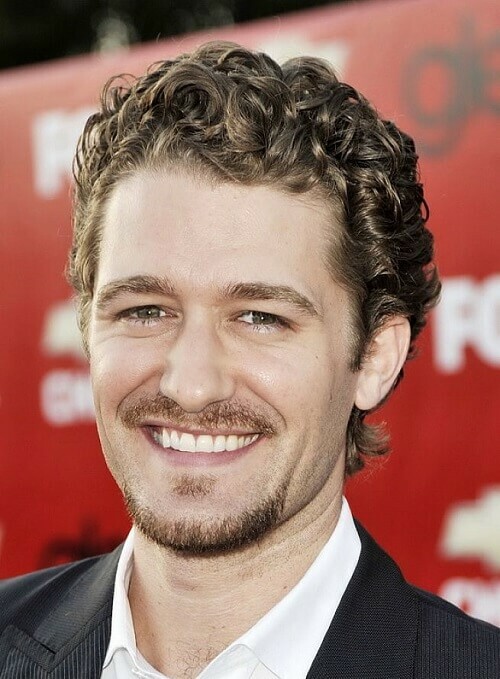 This article will help you find the best curly hairstyles for men that you might want to try. When you find the one that’s right for you, you might start loving your curly locks. You don’t need a lot of hair product to keep your short hair looking exquisite. You just make sure that your hairstylist knows to keep it shorter on the sides than on the top and your cool hairstyle is good to go. Keeping it short requires too many salon appointments? Let it grow a bit over your ears and forehead. It’ll look as if you’re going for an afro, and if that’s your thing, just know that many chicks dig afros. Here, it gets a bit more complicated – but only if you want it to. 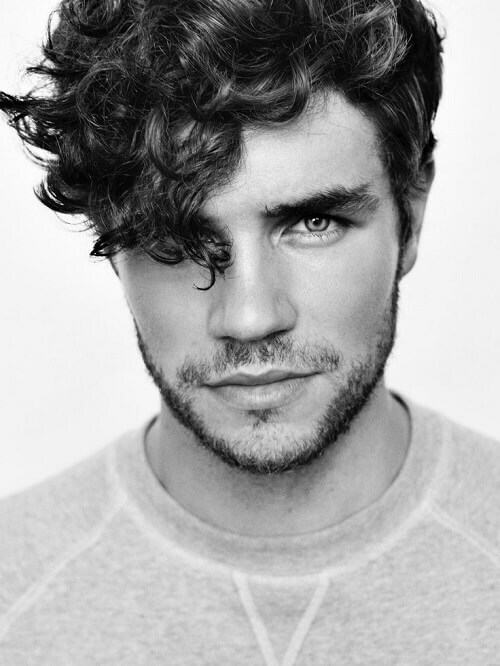 Long curly hair can be either smooth or unkempt, depending on the kind of look you’re going for. If you want it out of your eyes, make sure you’re keeping it layered. There are numerous hairstyles for black men with curly hair out there, but what do you think about this one? 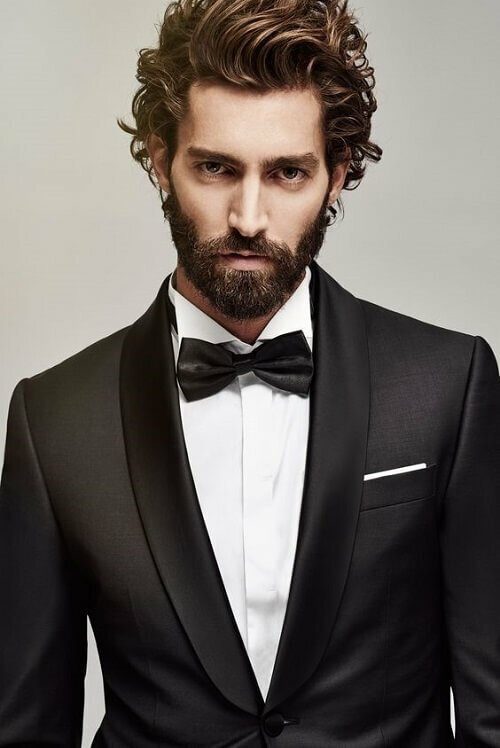 You can always pair with a beard to make it even cooler, but even if you don’t, your curly will still look natural and professional. 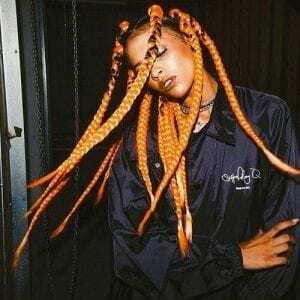 Afro is back in style, for both men and women. 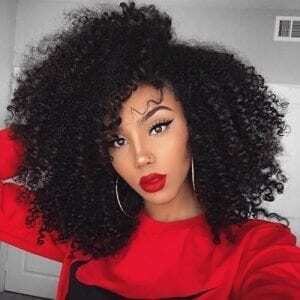 Why not let your curly locks go haywire and sport the afro look for a while? If you don’t like it, you can always chop it all off. So you’ve decided that short is best, especially during the hot summer months. 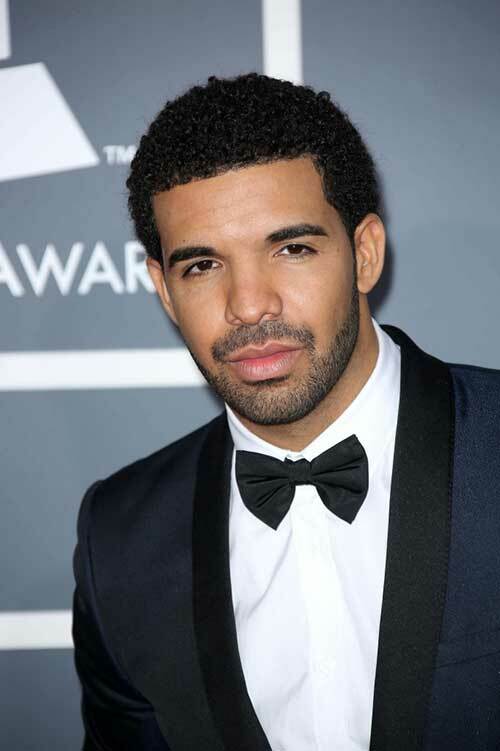 You can always take a page out of Drake’s 2013 hairstyle book and go for this look. It works for any occasion, we promise. Look how happy he is with his medium curls! What’s stopping you from trying to grow yours a bit longer as well? This kind of hairstyle might not be for everyone, but it sure looks cool. 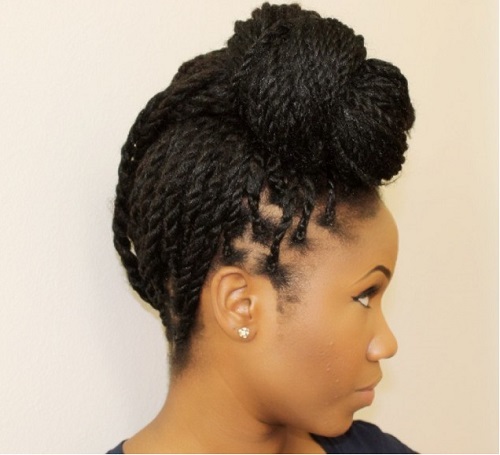 If you feel particularly adventurous, you can arm yourself with some patience and rock this hairstyle for a while. If you’ve got thick hair locks, you’re in luck. You have plenty of material to work with and you can style it however you like it. 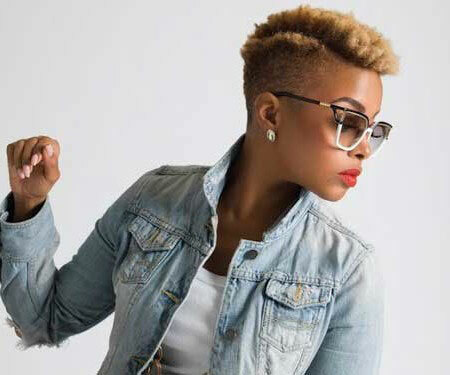 What about this short-sided and long-topped hairstyle? Your hair is stubbornly trying to mimic curly hair but never quite gets it. So you’re left with wavy hair, which should not be discredited. You can look extremely dashing sporting this ruffled look. Curly hair can look good on anyone who puts a bit of effort into it. Let it grow a bit longer to frame your face nicely, and maybe add some highlights during the summer season. If not now, when? 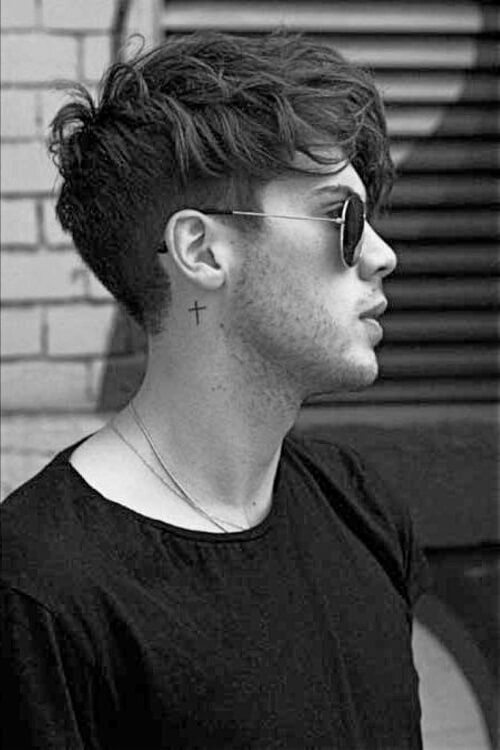 Get that undercut and make sure you always have enough product on hand to keep your curls swinging to the other side. 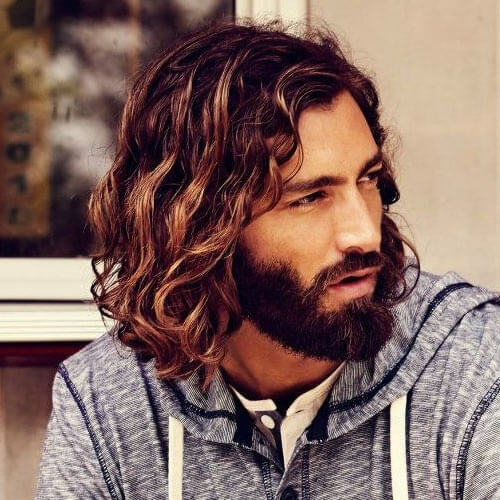 If you’ve ever doubted that curly hair pairs well with a beard, doubt no more. Have you seen Jon Snow? Enough said. 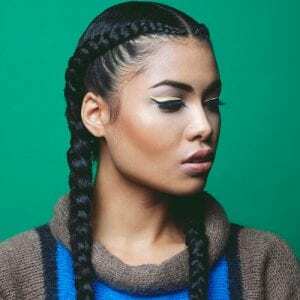 With an undercut or without, this hairstyle keeps your stubborn curls away from your face. If you want them longer, keep in mind that it could easily turn into an afro without the proper maintenance. Man-buns were all the rage during 2014 and 2015, but it doesn’t mean you can still wear your curls in a loose or tight bun whenever you feel like it. Unkempt curls are something special in themselves. They require no styling and you can hashtag all your Instagram pics with #iwokeuplikethis. It’s long, it’s messy, and it’s hard to style. It’s also really cool-looking, so if that’s your thing, just let your inner Mufasa come to the surface. It’s trending among celebrities this summer: bleached hair. Why shouldn’t you give it a try? It will surely turn some heads at summer parties. All you need is a bit of product to set in place and you got a real macho look going for you. Try this one out for when you’re attending your best friend’s wedding – who knows, you might be next. It gives you a sort of 80s vibe while also keeping it fresh. You can part it on both sides or just one; either way, the hairspray will do wonders keeping the top in place. Nick Jonas might have grown out of his cute 2013 curls, but nothing’s stopping you from trying them now. Not overly neat, the locks fall in all the right places. If you’re somewhere on the wavy to curly hair spectrum, this hairstyle is for you. 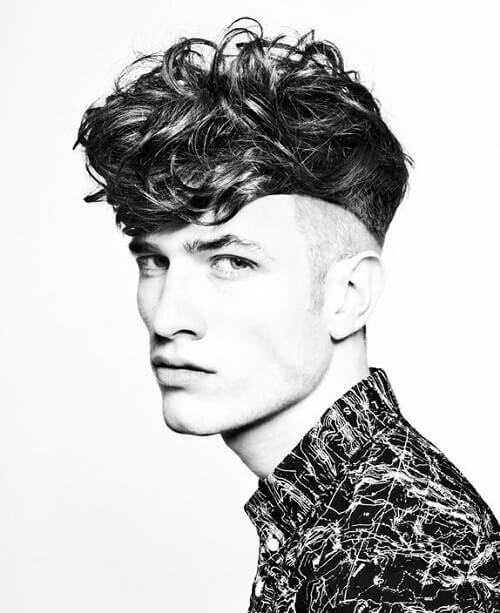 This wavy haircut for men is definitely different from what you might be used to, but the length is just right. Robert Pattinson is the poster child for messy hairstyles, but if you’re also wavy-haired and looking for something that’s not going to take up too much time, go for a style similar to the actor’s. 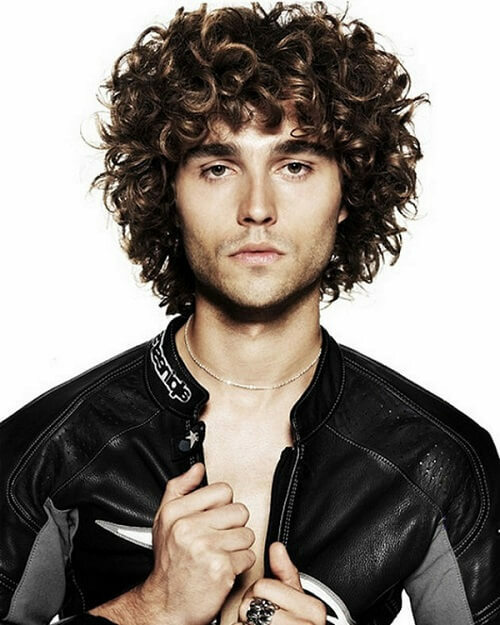 This kind of curly hairstyles for men is especially suitable for those who want to look mysterious. Just let your bangs grow out while you cut the sides shorter than the top. Don’t try to do this on your own at home – unless you’re a hairstylist. If done right, the effect is incredible: precision, cleanliness, and manliness. Life is not all parties and soirees – you have to take your curls into work sometimes. A gentle parting on one side and longer locks in the back will do the trick. If Johnny Depp can pull it off, why shouldn’t you? The goatee is optional. 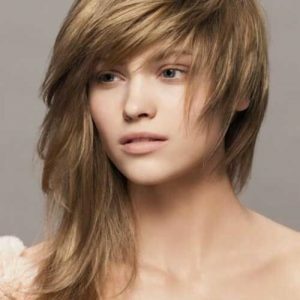 They don’t have to be blonde – your locks will get this romantic look if you let them grow longer to cover your ears and your forehead. Wolverine has never looked this good. Short on the sides and wild on top does the trick. The focus is both on the mane of wavy hair and on the clear face. Bangs are high-maintenance but they’re also highly fashionable. It’s not just wavy hair that can be swept to the side – this works for curlier hairstyles as well. If you can’t stand your long curly locks anymore, chop them off and sport this effortless hairstyle instead. 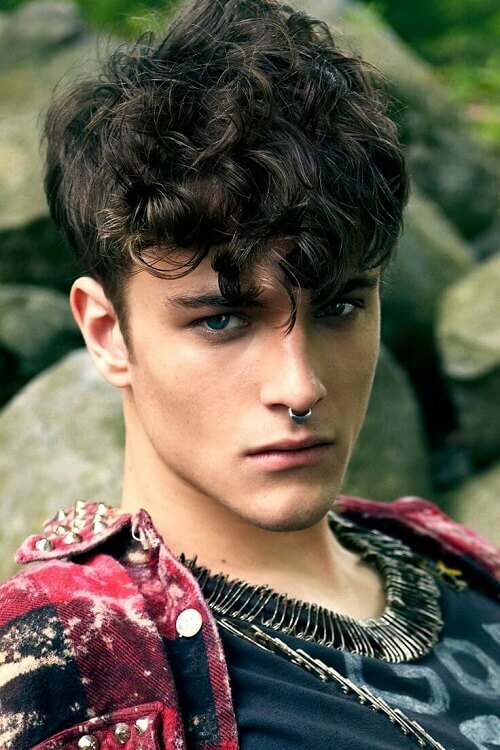 The wet look style is one of the curly hairstyles for men worn mostly in black and white movies, but that doesn’t mean you can’t add a modern touch to it and wear it now. Nothing says “I’m down to party” just like this hairstyle. However, you also have to be down with constantly pulling it out of your eyes, as well. If you’re going for a survivor look, you must grow a beard as well. If not, the long and sun-kissed locks will draw the attention on their own. This hairstyle works best if you have wavy hair and a skilled hairstylist. The side-lines need to be precise and the locks layered. They work for formal occasions, as well as casual. As long as you’ve got enough product, you can switch from loose curls and bangs to a sleek back look in a second. You needn’t worry about your wedding day anymore – styled like this, your hair will not only stay in place but also dazzle your beautiful wife. It’s elegant and looks effortless. It doesn’t have to be a man bun; half updos work wonders with shoulder-length hair and they’re also rather practical. Trying the redhead look is tricky on any kind of hair, and curls are no exception. However, if you get it right, you’re going to love your flaming hair. It gets really short on the sides with this one but compensates nicely with the messy thing it has going on the top. You need some guts to try the middle parting as a man, but this hairstyle looks really good on men with longer faces. Keep the hair at shoulder length. Ringlets have made a comeback in 2016 with the new trend of faded hair. If you have a beard going on as well, your look is more than complete. This is the most casual haircut you can choose if you want to get rid of the hassle that comes with curly hair. With the right outfit, it can even be elegant. It’s a little bit more daring than other items in this list, but hipster looks are still trending. If you dig it, go for it! 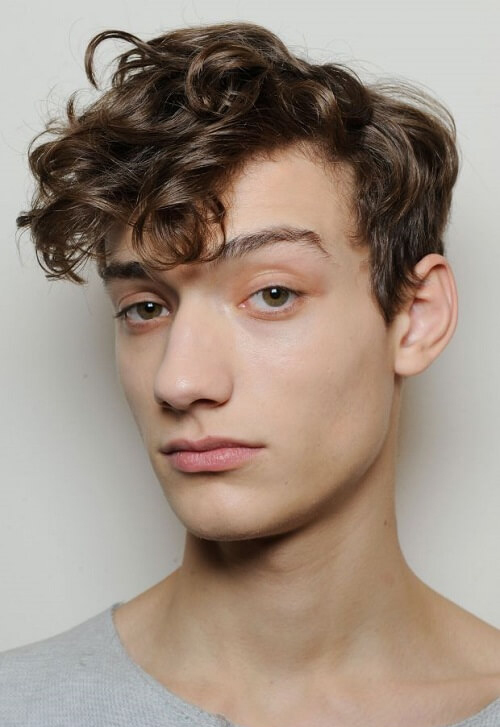 It’s a long list of curly hairstyles for men, long enough for you to find your match! If you have any other ideas you would like to share with us, do so in the comments. Now that you’ve been inspired, it’s time to make an appointment with your hairstylist!